Beth was lured back to Colenso after a successful stint in New York as an Associate Creative Director at R/GA and Droga5, where her and her partner created some of the country’s most high profile work. During the most contested election in U.S. history, The New York Times and Forbes Magazine labelled their Role Models spot for Hillary Clinton “a masterpiece of political advertising” and a “Hall of Fame-level” ad. Beth has won over 40 national and international awards, including New Zealand’s only ever a black pencil for K9FM, which she made at Colenso before leaving to the States. Thom returns from 5 years at R/GA NY. His We Are America campaign has been viewed over 120 million times, and is up for an Emmy at this year’s awards. And his last year’s Mamba Day campaign for Nike was the most successful shoe launch in history. The campaigns picked up 5 lions at this year’s Cannes festival, and made Thom half of the R/GA network’s most awarded team globally. “Thom and Beth are absolutely world class. We’re thrilled and genuinely humbled to have them with us” says Levi Slavin, Chief Creative Officer at Colenso BBDO. 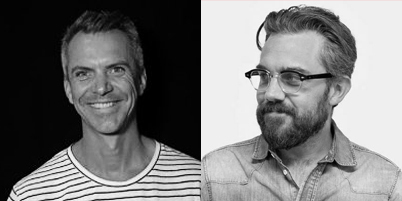 It can now be confirmed that the formidable creative pairing of Levi Slavin and Dan Wright have returned to 100 College Hill from BBDO New York on May 1. Their return signals a clear desire from the agency to build on Colenso’s well established creative chops. Slavin will be returning as the Chief Creative Officer and Wright will return as a newly promoted ECD. They’ll both be joining Nick Worthington, Steve Cochran and Wayne Pick as the leaders of the agency’s creative function. 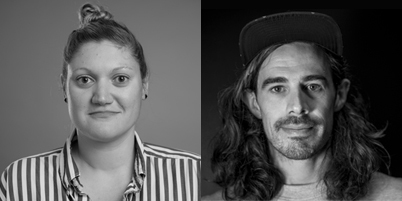 As two amazing individuals return to Colenso, two revered contributors to the agency’s sustained success story are heading off. Simon Vicars and Andre Sallowicz will be packing their bags and heading for London where they will takes up roles at Adam & Eve DDB. 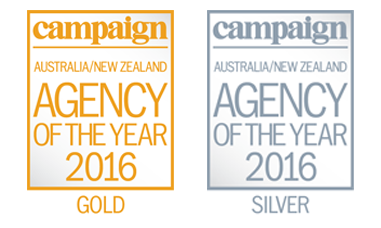 For a record 8th time Colenso BBDO is Campaign Brief’s New Zealand Agency of the Year. 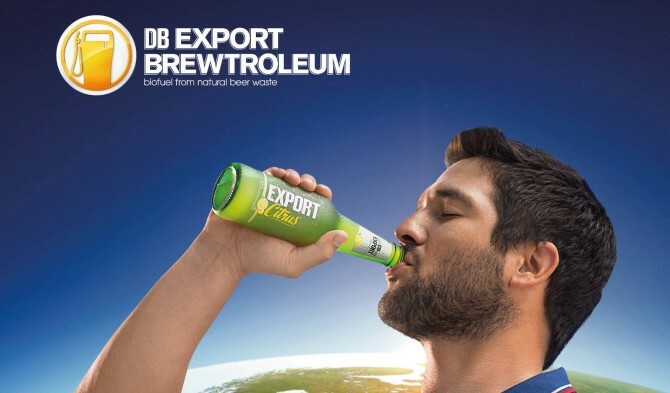 Campaign Brief attributes the success to a mantra of ‘creating with purpose’ earning Colenso more recognition in 2016 than ever before, being named New Zealand Axis Creative Awards Agency of the Year and NZ Effies Agency of the Year. Read the full story here or in the latest issue of Campaign Brief, which includes the annual CB Agency Hot+Cold Charts, out next week. 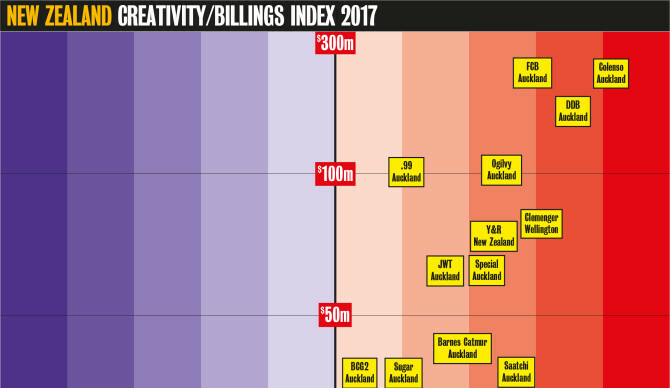 The Directory Big Won Report – the ranking of award winning agencies and campaigns for 2016 – has just been released, and it’s an outstanding result for Colenso! 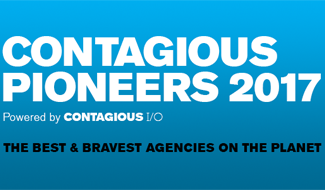 Contagious magazine has ranked Colenso BBDO at thew 3rd Best & Bravest agency in the World for 2016 as part of their Pioneers list. The Pioneers list, an awards system launched last year, ranks agencies from around the world that consistently set the standard for excellence and innovation in marketing. The list is compiled from an analysis of the Contagious I/O intelligence platform – a database of the most innovative and effective marketing campaigns in the world. Drink Beer, Save the World! 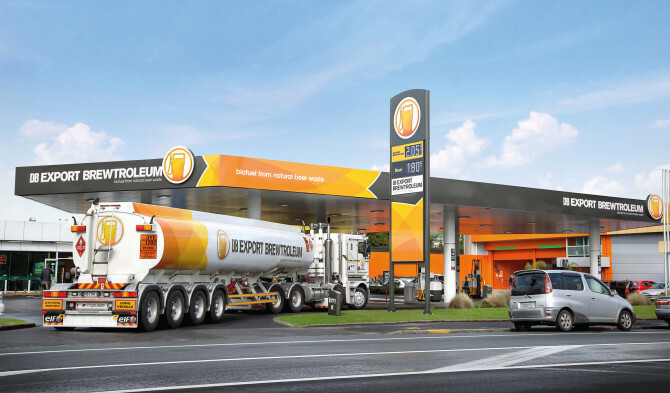 A new annual show, the D&AD Impact Awards, held in New York City, see’s Colenso BBDO collect their first White Pencil awarded to Brewtroleum for Environmental Sustainability. D&AD Impact is the result of a partnership between D&AD and Advertising Week. The show aims to celebrate transformative and creative ideas which contribute towards a better and more sustainable future. Pictured: Andre Sallowicz (left) and Simon Vicars proudly accepting Colenso’s first White Pencil.